Project Infinity is a mod manager for games based on the Infinity engine. Project Infinity aims to provide the same functionality BWS did, but without the need for constant 24/7 maintenance of the tool itself, for the cost of few additional user actions. The idea of Project Infinity comes from my 'mod template generator', but the project uses knowledge and experience from various other projects, like WeiDU, BWP and BWS. wisp for providing features and for his patience. Argent77,AstroBryGuy,CamDawg,DavidW,GeN1e,GrimLefourbe,lynx,Sam,Subtledoctor,qwertyqwerty and others for their feedback. Every modder who removed ACTION_READLN or provided optional features for this tool. The Gibberlings3 site and all the other modders for using Github. W.K. for his code feedback. Download and extract all mods into one folder. Optional step: extract BWFixpack into the same folder and install it only once. Select the folder where you extracted all mods. Setup game directories, choose one from the "Selected game" drop-down menu. Select all the mods and components you want to install. Manually set the install order via copy & paste or use the "Sorting Order" feature. Click the "Install-Mods" button to start the installation. Mods installation, including private and unreleased mods. Quick uninstallation of all the currently installed mods. One-click Delta Updates for mods hosted in Github. Download mods from sites which provide support. Create your own install order for mods. Ability to share and reuse defined mod list. Ability to share and reuse defined install order. Unlimited sub-folders in the folder with extracted mods. Convert a WeiDU log into an installation sequence with localized component names. Support for Delta Updates for mods hosted at Github. Resolve conflicts and dependencies between the internal components of a single mod. Resolve conflicts and dependencies between multiple mods. Support for something like testing framework. Drag and drop support for all major features. Built-in, custom backup system (nothing can beat reliability of the of Beamdog, Steam or GoG restore). Built-in, static mod link list (requires 24/7 maintenance). Built-in, static mod compilations, eg: Recommended, Tactics, etc. (requires 24/7 maintenance). Built-in, forced installation of the BWFixpack (requires 24/7 maintenance). Built-in, static conflict and dependencies list (requires 24/7 maintenance). Built-in, static install order list (requires 24/7 maintenance). 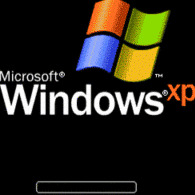 Fully updated Windows 7/8.1/10 64-bit. For Windows 7/8.1, you need to install first .NET Framework 4.5.2 or above and Powershell 5.1. Scanning, copying, downloading and updating mods hangs the GUI. Q: Does this app is just like BWS? A: No, everything is different in order to not require 24/7 maintainer for application. If something is missing it's because it's either not implemented yet or it's not planned because it would require never ending Sisyphus work. Q: Does this app modify mods in any way? A: No, it doesn't even install BWFixpack. It's a collection of fixes for older and unmaintained mods. Link. Q: Can I install BWFixpack? Yes, but you have to install it manually inside folder with extracted mods, before even starting PI. As advantage, you install it one time only. Q: Can I reorder mods at the mod list? A: Not yet but this is planned feature. Q: Can I import weidu.log? A: Yes, but you need to have all included mods with the same mod version already extracted. Q: How to set install order? Copy & paste lines of install sequence after you clicked "Set-InstallationSequence"
Advantages of "Sorting order" feature/file is high immunity to mod changes. Q: What about dependencies and conflicts? Component "Make NPC-specific items available for everyone" can only be installed if you installed "Disable all NPCs" or disabled each NPC individually. For handling internal type, PI will provide means/capabilities for modders to define them. The main benefit is that it won't be possible to choose combinations of the components which cannot be installed together/have internal requirements. Argent77's "Disable Enhanced Edition NPCs" can't be used together with Pecca's EE content tweaks. Players have to choose one of them. For handling external type, I'm waiting for new WeiDU feature which is currently discussed. Q: Is there a detailed comparison between Project Infinity and BWS features? A: If you really want, you can read this wall of text. man this will be useful and will make it so it does not take me an hour to manually install mods. One question: the readme call at the end of the mod installation (as it was practice back then), does that interfere with the tool in any negative way or is it of no importance? It interferes with me not throwing my computer out the window... God that kind of thing is terrible. How the readme is called? Via "at_view" or something different? If former then weidu can skip such commands via using --skip-at-view commandline switch, if later it will probably pause installation unless removed. Indeed a terrible thing to do for a mod, but ye, people did it back then. Well, it's a mod where the author explicitely stated in the tp2 that this is the personally preferred way so I would only change it for and update if there is a technical reason against keeping it. Wow, this looks cool! 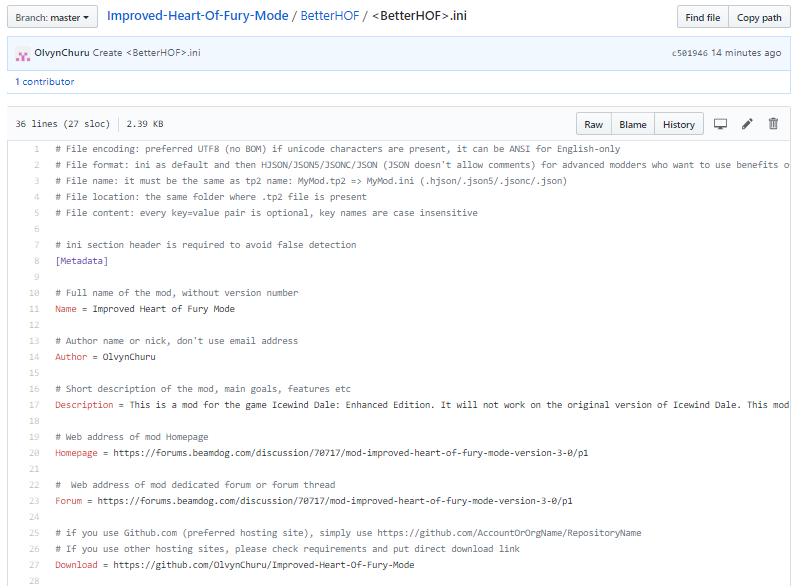 So I made one of those metadata files for my mod Improved Heart of Fury Mode. Did I do everything right, or is there something in the syntax I got wrong? Was I supposed to put arrow brackets around the filename? If I wanted to add a version number to it, would I put a new entry in the file, or does it find the version automatically? Does this mod check if the mod installation directory has the game installed? I'd like to use it to install some mods on Android - after copying the installation to PC. That means that some files (which BWS checks for) from the PC version are not present. Can I say that you are a boss, for making such a tool? @OlvynChuru Everything went smoothly except "arrow brackets"
Please remove them from filename, I will also remove them from docs since they can confuse people. You don't have to keep Homepage key with duplicate link, you can safely remove it. Currently the quote system is a little buggy. It should improve when the final version of the new text editor is released by Vanilla. @mlnevese You mean it's the forums and not my recently updated browser? That's a relief (for me). How to setup install order? I'm waiting for this one, before starting a new game (Looking specifically for BWP install order). @Arthas You are aware that BWP it's only for classic games and older version of mods? to be honest, I'm very much aware. And by the way, I don't like BWS for a very simple reason. I find it odd to extract the install order from BWS, when you can use BWS itself. While in Bwp, especially the manual, you can read the thoughts of Leonardo under every mod on the install order to simplify your work if you're not installing BWP. in Bwp, especially the manual, you can read the thoughts of Leonardo under every mod on the install order to simplify your work if you're not installing BWP. I agree that the BWP manual is great reading; it is in fact very useful for modders, it helps me think about where in the install order my mod will go as I'm making the mod; and that affects how certain things are coded. However, I think the BWS order is better for EE games for the very simple reason that Leonardo only uses, and AFAIK only tests, the BWP on the old engine. Which means he necessarily omits a bunch of mods that are designed for the EE games. The BWS order includes those mods. That's why you can use both Ideally, I would like to see someone who converted one of them, paste it inside publicly available google spreadsheet and initiate discussion regarding install order. I find it odd to extract the install order from BWS, when you can use BWS itself. Because BWS install order is outdated and by converting it, you make it not-so-outdated, usable and highly immune to mod changes. I've added instructions how to convert BWS data or weidu.log file, which you might find interesting. How about you will read it, try to convert BWP and give me feedback? @Arthas But it's exactly what I've suggested: converting BWP weidu.log file into sorting order file. I don't know if this was asked but does this mod manager have an auto sort button so if you are unsure what order they are supposed to be in, it will put them in the right load order? @gohanf22 Yes, it has but you need "sorting order file". Did you try to follow instructions? What was the outcome? @ALIEN I tried and I couldn't figure it out well. I'm not good with excel so mine didn't turn out right. If there is a way someone can send me the file for it to work, it would be better cause I'm not very good at doing that sort of stuff. I'll +1 on providing default BWS sorting files for the four EE titles, especially if those lists will no longer be updated. I think it might also be smart to maybe make a few video tutorials, since the mod manager is somewhat unintuitive right now. Despite installing Git and having the proper .NET and assuming I have the correct PowerShell, the download function doesn't seem to work (yet? ), and installing three mods on BG1EE as a prelim for doing an EET installation had the manager become completely unresponsive without giving the standard Windows 'program is not responding' dialogue. I had the same problem or it would just stall in installation cause without a good load order, it will crash or not respond. EDIT: I would advise to look at what they did with the vortex or NMM over on nexus for ideas. They have tools that help with load orders and sorting files in a mod manager that makes it easier for the mods to load in the right order like LOOT for instance or even something to clean up the registry so they load right. Vortex/NMM is by no means a good manager, and things like LOOT only work because of a dedicated, long-time community. Something to keep in mind. Regarding providing default BWS sorting files: If someone doesn't know install order, you simply have to ask. All we need is a forum thread where someone will ask "what is the install order for this 25 mods" and it will be a good starting point. I'm afraid that I can't provide default install order because I won't be able to work on two things at the same time. @Paramarx That's the kind of feedback which I definitely need. May I ask you to try again with small mods and wait a bit longer to see if the mods were copied into the game dir? If you still have "Logs" folder, send them to me via PM/email or pastebin.com. @gohanf22 While it's easy to create LOOT-like solution, the problem with is that they require require 24/7 maintenance. @ALIEN whats the one that auto sorts for NMM when they had it? I think it started with a B. 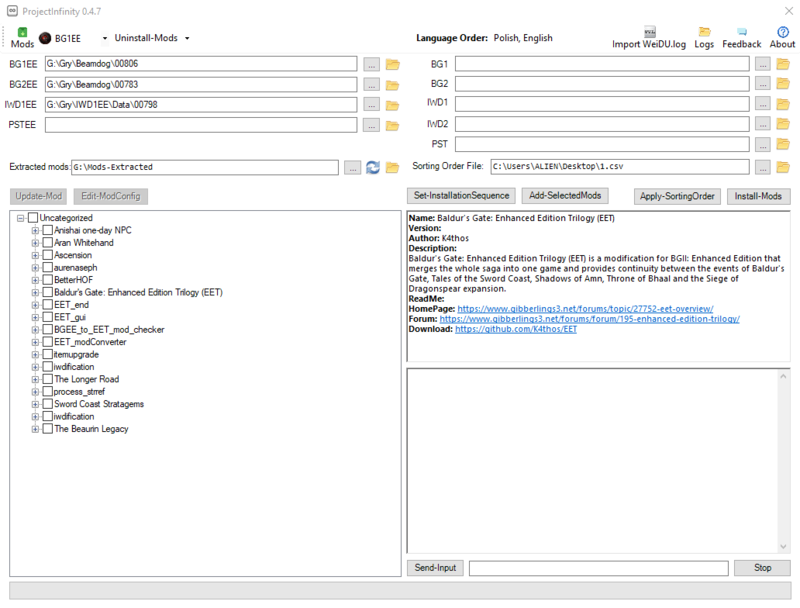 Well now that they use vortex, it auto sorts everything or has an auto sort button with built in load order files.